It was only lying if she asked, right? I gulped anyway. The clock hovering high above the blackboard ticked on through eternity, but in slow motion. Reading time in my first-grade class lasted 15 minutes, but that was a long 15 minutes for a kid like me who could hardly read. I broke the 15 minutes up into 2 parts: picking out a book and then conducting my great charade. Roughly 5 minutes were dedicated to picking out a book. Other kids brought books from home, or picked a book from the teacher’s library and read it every day for weeks until they finished it. But I didn’t have that luxury. I wasn’t about to read Dr. Seuss; that was for little kids. I wanted to read, or appear to read, chapter books. However, that was very difficult because most just had pictures on the covers and chapter breaks. So, if I really, really, really took my time, I could still only make a chapter book last about five to ten minutes; then, my 7-year-old brain needed a change of scenery. That was why I picked out a new book at the beginning of each session. Eventually, the teacher would hurry me along, and I’d end up at my seat hunting for pictures. My finger raced under each line on the page and I mumbled to myself like I saw some of the other kids doing. My teacher was always “amazed” by how quickly I finished each book. What took the other kids weeks to do I accomplished in 10 minutes. Sometimes my teacher would test my reading comprehension, and I would have to describe in great detail the stories as I imagined them to be from the pictures I’d seen. I always got away with it, but I did have a few close calls, like the time I described a book that she had actually read herself. I quickly recovered by offering several logical explanations for the apparent discrepancies. Perhaps, I suggested, the book was different now, or maybe she had forgotten the stories because she read them so long ago, or maybe I was confusing what I had just read with some other book. Back then, I thought I was very sneaky, but now I realize she must have known my secret. At times, she called me to her desk and tried to help me read. However, with so many other kids, there wasn’t enough time to catch me up. The sad thing about school is that once you get behind, there is a snowball effect. By the third grade, I was several years behind my peers. I took a standardized test and was finally discovered. I did everything right. I moved my finger under the lines and mumbled random words, and even filled in C whenever I didn’t know the answer. Yet, when the scores came back, my reading comprehension was off the chart, but in the wrong direction. Now, you’d think that the school would have rushed to catch me up; but that didn’t happen. During reading time, I was sent with two other students to a trailer out back behind the school. There I received “special” help, yet it wasn’t any help at all. We read the same book as the other kids, but within a few weeks we were several chapters behind them. Soon, I realized the goal was not to catch me up. Actually, it felt like the opposite – they were letting me go. They treated me with kid gloves; they talked slower; they demanded very little. In short, they made me feel stupid. And not stupid in an insulting way, but in a decisive and diagnostic way. I began to hate reading. Luckily, a year later I moved schools. The teacher at my new school didn’t know how “slow” I was. She accidentally put me in a normal reading group and, in time, I caught up on my own. Still, it took me years to accept the fact that I was a “normal” reader. So, if my brain could read as well as any other, where did I go wrong? It started with an assumption that my parents made – that school would teach me to read. It was a fair assumption, and the school did try, but I sat at the back of my kindergarten learning circle with a buddy and we talked about bikes and Legos while the teacher droned on about letters and words. That is when I began to fall between the cracks. Having daydreamed through a few lessons, I didn’t understand the new ones because they built off the previous instruction. I fell farther and farther behind. And here is the major issue: No one noticed until third grade. By then, I was waaaaaay behind my peers. And the school’s solution to the problem was not to catch me up, but to slow me down! It was a bad strategy! We aren’t likely to fix our schools any time soon, and I realize that not everyone can homeschool, but we all can make sure that our own children don’t fall victim to the system by teaching them to read at home before kindergarten. 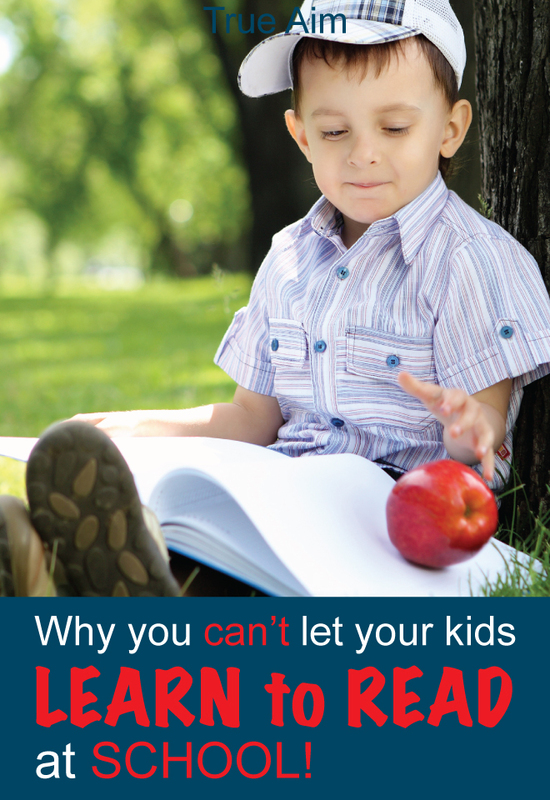 You simply cannot let them learn – or not learn – to read at school. It is too risky. Reading isn’t like the other subjects. It is the linchpin. If your kid can’t read, or can’t read very well, he will likely fall behind in other subjects, too. He won’t be able to read instructions, examples, or lessons. Yet, if your child can read and he falls behind, let’s say in math, he will be able to read his textbook and catch himself up. So your child’s reading ability is directly tied to performance in all other subjects. Perception and confidence are another good reason to teach your child to read at home. Before entering school, all kids think that they are geniuses thanks to their parents. But the second they enter the classroom, they begin to compare themselves to their peers. Your kids aren’t going to know that some of the other kids learned to read in preschool or at home before kindergarten. 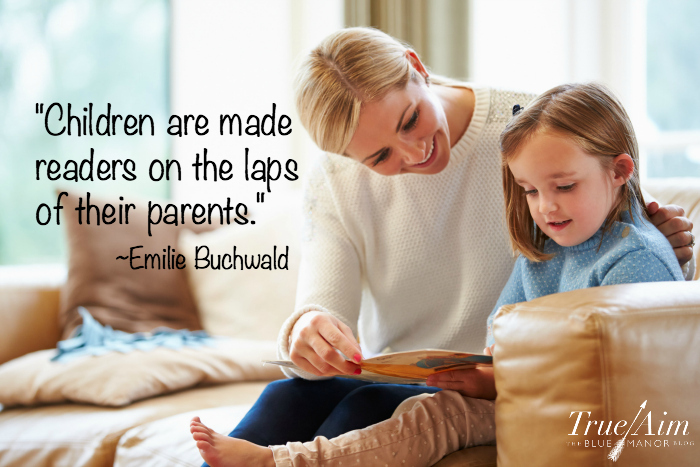 Your children will just think that they are picking it up much slower than their peers. They will think the others are fast, and then deduce that they are slow. This perception often dictates the reality. Of course, the same is true in reverse. If your children enter the classroom as proficient readers, they will perceive that school comes naturally to them, and they will feel confident. This is such a huge advantage, and the little time and energy it takes you up front will save you countless struggles in the long run. I recommend starting to teach your children to read around 3 or 4; that is when my children began reading. Allowing yourself such a large head start will take the pressure off. You won’t have to ram reading down your children’s throats the weekend before kindergarten. Instead, you will teach 15 minutes a day over the course of a year or two. Don’t think that you are depriving your children of a “childhood” by pushing them so young. If you take your time and teach casually, there won’t be any added stress. And once they can read, you will see for yourself how reading actually enriches their childhoods. I recommend getting a curriculum. There are parents who teach their children to read from random books, but it takes them longer and often creates weaker readers in the long run because there is no rhyme or reason to the instruction; too many rules are introduced all at once, and kids get confused by the constant exceptions. Eventually,children learn to read this way, but it is often because they memorize the words, and not because they understand the phonetic sounds and rules. This limits their reading ability mostly to the words that they already know; new words are always a struggle. I highly recommend Blue Manor’s Phonics Reading Set. 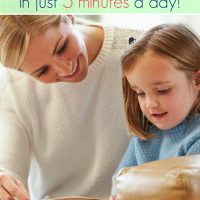 It requires no lesson plans or teaching experience; it is super-simple to teach; and it has kids reading their first words in just a few minutes. It is also the most affordable. My second recommendation is Usborne books Starting to Read Set. The books are beautiful and fun, and your kids will love reading them! 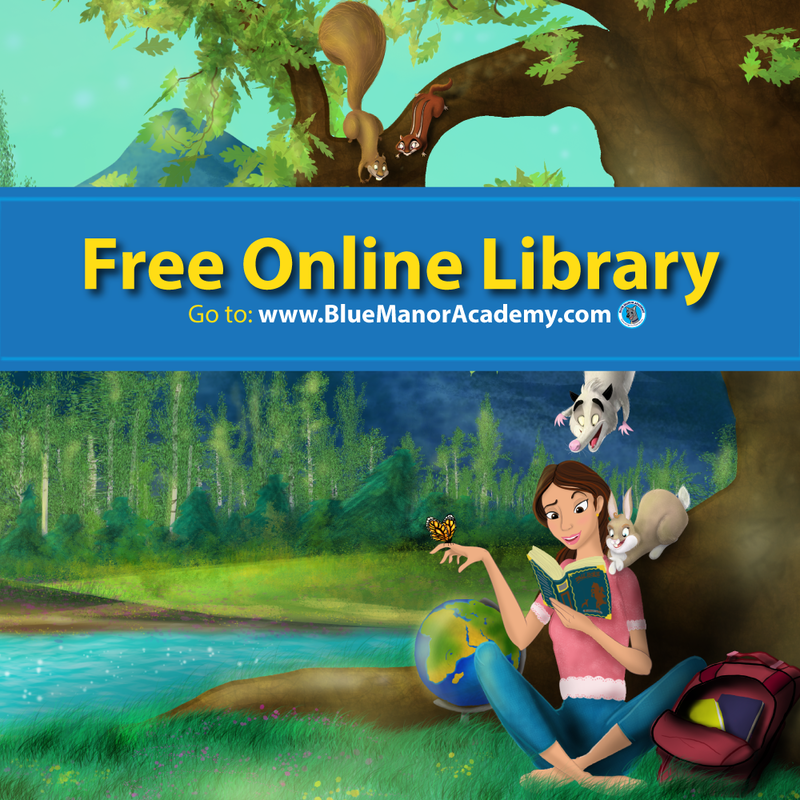 However, it is more expensive than Blue Manor’s phonics curriculum, so if money is tight, Blue Manor is the way to go. If you have any questions, please ask. I’d love to help. I’d also love to hear your thoughts, comments, and advice! Happy teaching! Teach Your Child to Read Workshop and Sale! 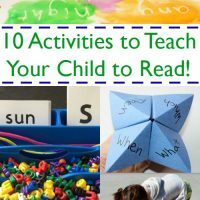 We used Teach Your Child to Read in 100 Easy Lessons, and it was amazing. My daughter doesn’t sound out words like her peers, she just reads (she was ready proficiently by the time she turned 4). And my sister used the same book, and I see the same in my niece. I tell my daughter all the time that if you can read well, you can learn anything! Nothing’s out of your reach, because there are books and articles about everything. She gets so excited about how much she can learn! 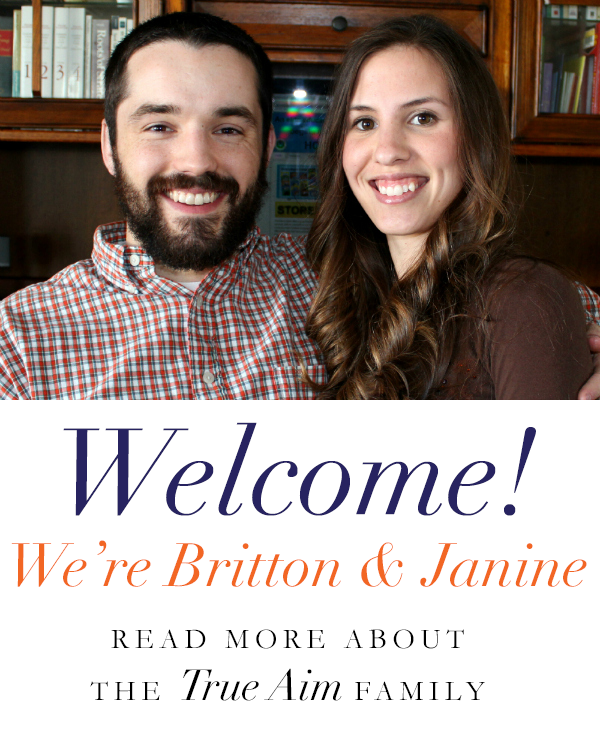 Nice Blog Post BrittonL. I always teach my son to learn things while playing. Because fun always help in things easily and deeply. Great story. Making reading fun is the best way to get your child interested. You should never rely solely on the school to teach them. Thanks for sharing. Drew recently posted…Myth #1: You need to wait until 2nd or 3rd grade to see if your child will learn to read. Interesting story and advice. My 3-year-old is starting to read the way you describe, using a phonics curriculum. He enjoys it and asked to learn, so we just do ten minutes a day, alongside hours of play. There’s no pressure. Thanks for sharing your experience and recommendations. This is a great example of the importance of parents taking control of educating their children. 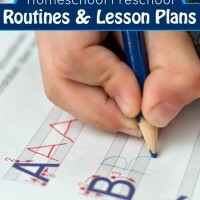 I will keep these phonics programs in mind when I start with my youngest. Thanks for the information! My daughter started in public school for kindergarten. They pushed sight words and never taught phonics. She left that year frustrated when we read at home because she didn’t know the words. We are using All About Reading now and working with phonics and it is an amazing difference. Sadly, there are many learning experiences children should never first encounter in school, yet many parents just assume that the schools know what they are doing when, more often than not, nothing could be further from the truth. Thank you for posting this! My husband and I were always the kids who just “got” everything we were taught in school, so I’ve always been a little anxious about what to do if my kids had a hard time learning how to read. I will definitely check out some of these materials. So many times, parents also need to play a bill role in teaching their children on how to read from home. Delegating the responsibility to teachers alone is bad.